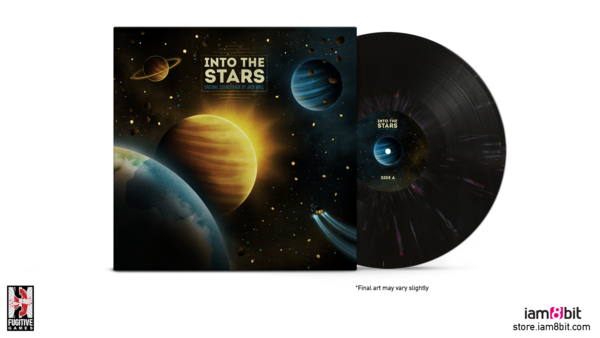 iam8bit, Fugitive Games and Wall of Sound have collaged our collective love for all things cosmic to mint the soundtrack for Into the Stars on glorious vinyl! Composed by the legendary Jack Wall – a maestro with credits on tiny games like Mass Effect, Call of Duty and Myst – the music ranges from soft, classical exploration cues to perilous, intense space battle action. 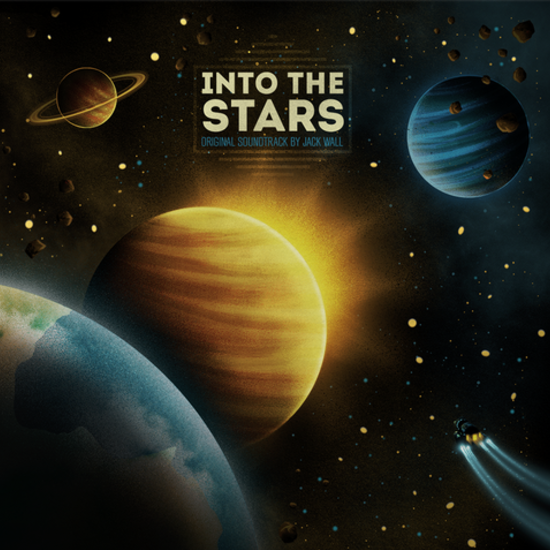 Artist Arno Kiss compliments the sounds with an original album cover that recalls the vastness and wonder of the cosmos in a wholly tangible way (i.e. 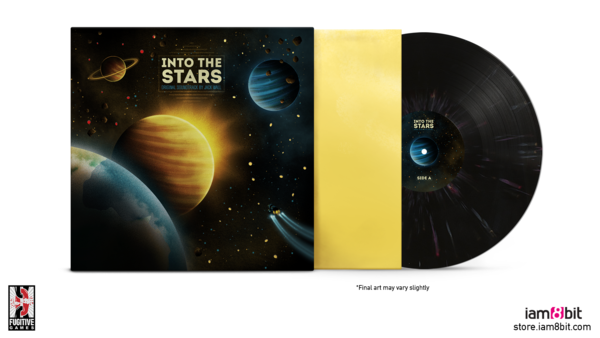 the stars on the cover are actually die-cut holes, allowing the metallic gold foil sleeve behind it to shimmer and shine. The audio was mastered specifically for vinyl at the world-famous Telegraph Mastering Studio; and the records are 180-gram heavyweight vinyl, making them less prone to warping over time.